An ancient underground catacomb is discovered in Newtown and is linked to a set of long forgotten relics. Meanwhile, Newtown's local PI Jack Macey is kidnapped while investigating a series of robberies in the area. Can you help Penny Macey save her father and discover the secret behind the mysterious Relics of Fate? Explore the town, talk to its inhabitants and solve intriguing puzzles in this exciting hidden-object puzzle adventure. 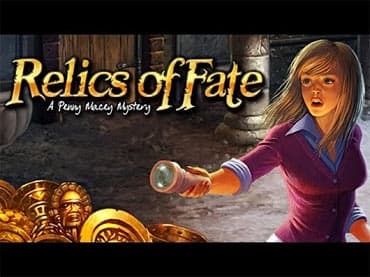 Free Game features: - Penny Macey's First Adventure; - Fantastic Storyline; - Animated characters; - Intriguing puzzles; - Discover the secret of the Relics of Fate. If you have questions about Relics of Fate game, please contact us using this form.